Home > Used Vehicles > Kia > Forte Koup > 2014 > 2014 Kia Forte Koup EX - 173 HP! HEATED SEATS! 2014 Kia Forte Koup EX - 173 HP! HEATED SEATS! 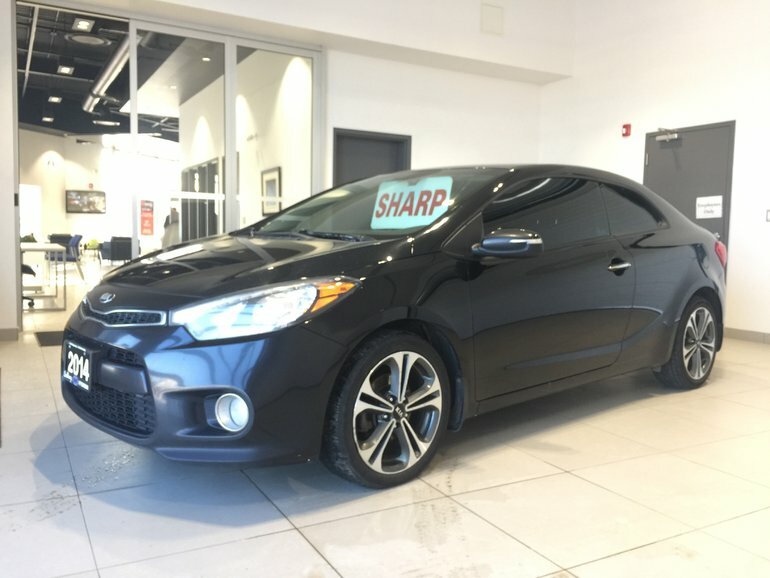 Beautiful Forte Koup with the awesome EX trim level, finished in stunning Aurora Black! Equipped with: 173 horsepower 2.0L engine, shiftable 6-speed automatic transmission, snow tires on rims (used), air conditioning, power windows/door locks/mirrors/moonroof, tilt & telescoping leather-wrapped steering wheel, cruise control, audio controls on leather-wrapped steering wheel, Bluetooth, AM/FM CD audio system, and much more. Interested in the 2014 Kia Forte Koup EX - 173 HP! HEATED SEATS! BLUEOOOTH! MOONROOF! ?